I worked on finishing up my jacket most of the weekend. All I have left are the buttons and buttonholes and I decided to leave those for class on Tuesday night. To put the shell and lining together, I used the kissing the sleeve technique that was taught by my apparel construction teacher. 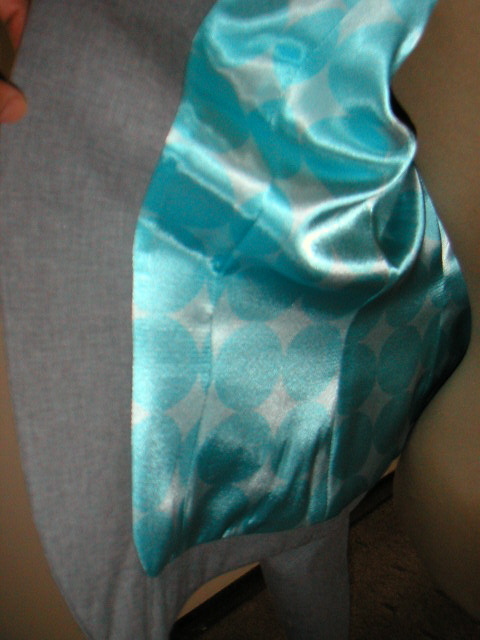 Matching center back and all other applicable seams, the shell and lining are pinned, right sides together. 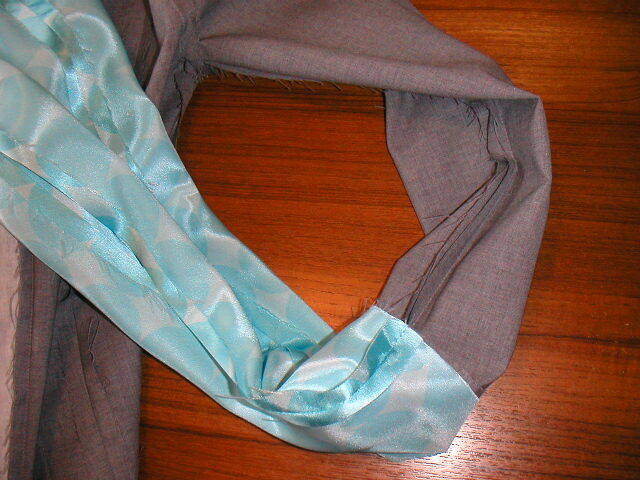 Matching the underarm seams, the sleeves are pinned and sewn together at the cuff edges. One sleeve (typically the left one) has a seven to 10-inch opening to turn everything right side out after sewing is completed. That open seam is then machine stitched closed. It was a neat trick that worked well and I was glad I didn't have to do any handsewing. 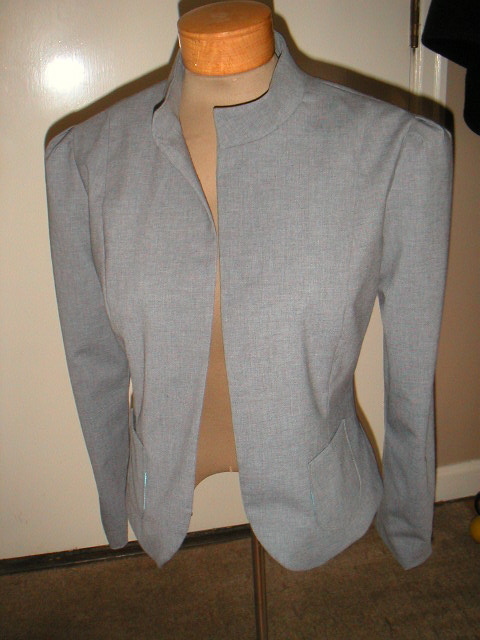 So far, I love how the jacket is turning out and I love how the lining contrasts with the grey wool.